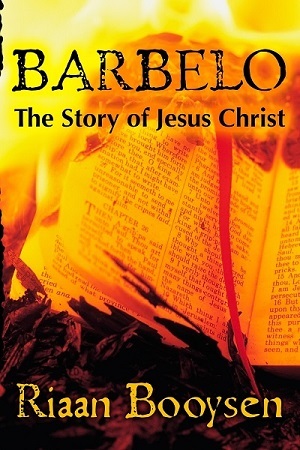 My book, Barbelo – The Story of Jesus Christ, was published in October 2014 and I have to admit that I have failed completely in attracting any interest in my highly controversial interpretation of the life of the historical Jesus Christ. My intention with Barbelo was not to sell books, but rather to highlight aspects of his life that the Church would otherwise not bother to comment on if asked, not to mention risk debating. I have concerns about my health (I have epilepsy) and rather than risking all this work potentially being lost, I have decided, with the publisher’s permission, to make the book freely available in electronic format (ePub, Kindle and PDF, see download links below – note that only the PDF file, and the hard copy of course, has an Index at the back). So what will you find in Barbelo? Apart from presenting probably one of the most complete collections of unflattering if not downright blasphemous texts from the first centuries after Christ, I will also show that there was absolutely no divine interaction in his life, from his miracles to the so-called ‘prophecy’ in Revelation about the ‘number of the beast’. Everything has a down-to-earth, very human explanation. In Barbelo several persons relatively unknown in Christian literature are identified, including Joseph Barsabbas of the Flat Feet, Mary, Martha and Lazarus, the children of Simon ben Boethus, Zebedee and Pandira. It is often stated that the Bible tells us nothing about the physical appearance of Christ, but the early Church Fathers had a lot to say about it, and none of it flattering. And then, of course, there are the accusations of violence perpetrated by Christ and his disciples – hence the title of the book, ‘Barbelo’. If you think there is merit in my work, please let me know and spread the word! For an impression of what to expect, click on the link below. Rating 3 out of 4 stars at Online Book Club. Barbelo ... is a very well-written novel. ... very engrossing. ... The author’s references are pristine and the bibliography leaves little room for argument. ... I enjoyed reading about another perspective on this subject. His research was detailed and well-organized. I would recommend it to open-minded individuals interested in reading about another perspective on the Bible. I would also recommend it to anyone who has ever questioned religion in general. This book will definitely captivate those who choose to read it.